Torque Blog - Team Torque - Employee Focus with Chander, Machinist. Plans for the Wigan Hospital, Rainbow Ward’s, ‘Teen Zone’ are starting to take shape after almost a year in the planning. The Three Wishes charity showcased the artist impressions of how the bespoke room will look to Torque and the teams that have been helping, back in January and they are now just waiting for final confirmation so they can get building. he room has been designed to create a quiet and sociable space for some of the wards older patients to relax in. 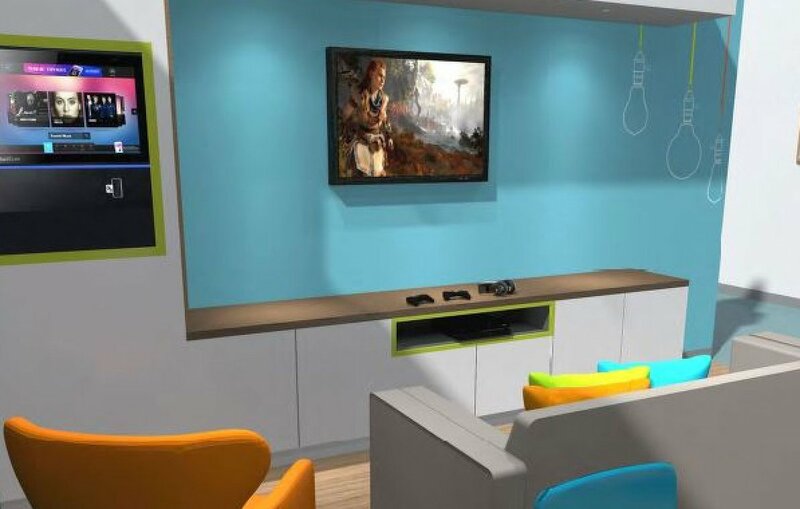 The room design showcases brightly coloured walls and will be fitted with comfortable couches to chill on, games consoles and a place to sit and talk. “The creation of Teenzone on Rainbow Ward will be an incredible facility that will benefit thousands of young people for many years to come. It will provide a dedicated space for young people to escape the noise of such a busy ward. The conversation of an old assessment room into the amazing new facility is a costly one, and we are eternally grateful to Torque and everyone else that has embraced this campaign wholeheartedly and helped to transform a wish into a reality.” Janet Pennington – Fundraising Manager, Three Wishes Charity. We can’t wait to see the facility when it’s finished and we’ll be sure to share further updates once it’s completed.